I can't believe how much they charge for venues these days!! I am actually considering switching to a Friday night instead of a Saturday just so that I can save some money. Has anyone had much luck as far as cost cutting by changing from a Saturday to a Friday? Did that cause a problem with members of the party not being able to be there or anyone volunteering to come in early and help set up not being able to do so? I'm so overwhelmed right now and my mom is not helping matters any that I just need some positive words from somewhere! We had a Sunday wedding and just had everything start/end earlier. Our reception ended at 9 but everyone still had a blast! I wanted a Friday wedding, but couldn't swing it with my church. The biggest problem I've seen with Friday weddings is that traffic in Dallas on Friday afternoons is heinous. One of my best friends actually had the guitar player for her wedding not show up until about halfway through the ceremony because he didn't give himself enough time. I actually ended up taking the day off work for that wedding, so you'd need to consider that not all your guests (or volunteers) could do that. I considered holding the wedding Sunday afternoon, had to move it to Saturday morning because the ceremony venue already booked that time. The traffic around the ceremony and reception after 5pm would have made it impossible to hold on a Friday night. It is a safe bet that all the major highways will be congested from 5-7pm. I work in North Dallas, but live in South Dallas and my commute home averages 90 minutes. How many people do you plan for the wedding? Sambuca Uptown and Plano offer a reception package for room rental, food, non alcoholic drinks, brides cake, DJ, Photographer for 50 dollars person. However this special is only for Saturday and Sunday for four hours before 5pm and you must have a minimum of 125 people If you want to hold the ceremony at the restaurant, they would charge 300 dollars more. We are having the reception at the Uptown location in March as it is less than two miles from the ceremony. The only real issue I have is the valet parking and trying to pay for guests. -- The sales contact remains mum about the issue. I agree with others who mentioned crazy traffic for a Friday wedding--for H and I as guests, to be able to make one we would have to take a partial day off in order to be there on time. It would have to be a very close friend's wedding if we were to do that, if I'm being completely honest. 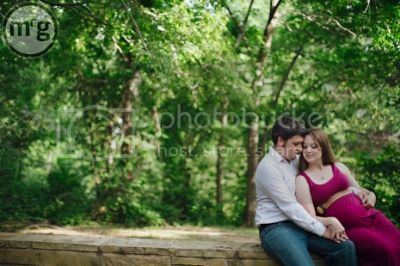 We had so many OOT guests that it would have entailed all of them taking off extra time to get to Dallas early, so we just had to accept the Saturday pricing and push out our wedding date a bit to accomodate the increase in our budget. With all that said, I think a Friday wedding is completely do-able so long as all the VIP's are able to make it. I would suggest finding a venue where you can hold both the ceremony and reception, just to avoid additional travel. What venue did you end up choosing? We always have tons of brides looking for venues around that price point. I know what you mean, I had a horrible time at first then I started really looking for places that were not exactly wedding venues. We ended up with the times ten cellars in fort worth and its costing us 850 for a Saturday. I was so excited. I think aside from that most were 1200 and up but we are not having a big wedding (under 75) if we were having more people than it would of cost us as most places closer to the 2k.